Being buried as a tree? Instead of paying for a coffin which is only going to be used for just a few days, how about being buried in a bio-degradable ‘seed’ – small of ashes, larger to fit a foetal-position body? Instead of a graveyard, a growing forest, respected and protected by the local community. Capsula Mundi is imagining just this. The only small question I have is about the selection of the trees. 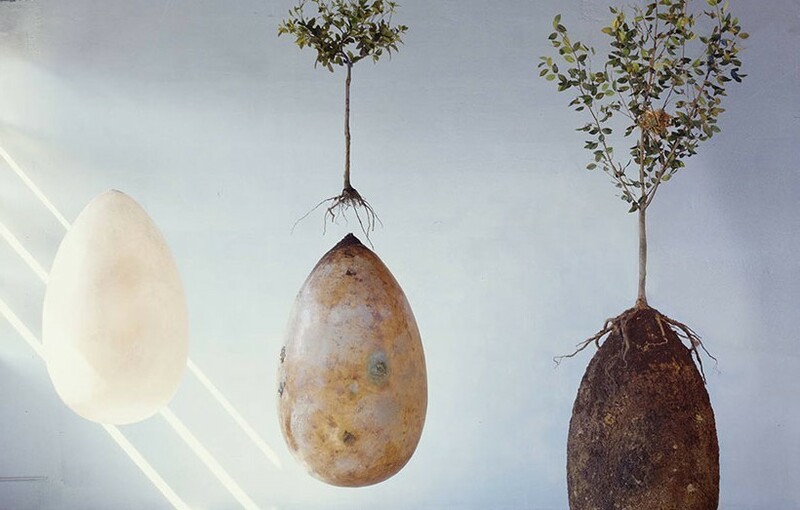 Capsula Mundi advertise their idea under the heading: Which tree would you like to be? There is surely something of a tension between this choice, and the effects on the neighbours. Whether those neighbours be other bodies/embryonic trees, or the bird and insect neighbours living in any forest. I know it’s picky, but everyone can’t become a Giant Redwood! And any non-indigenous trees can’t ever be as supportive of the rest of the environment. Antibiotics: could a ‘fix’ reduce self-management?